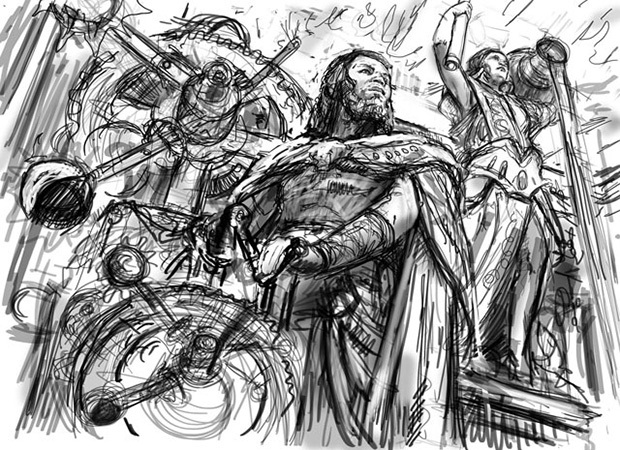 Some of you may already be familiar with this Meletian fellow, he's definitely going to be popular among the Commander crowd (and other Johnny gamers I'm sure). The art, while focusing on the male in the foreground, is wonderfully detailed and something I wanted to take a closer look at. So first off, let's talk about the device he is standing next too. That is called an Antikythera, which is an ancient Greek clock-like device that predicts astronomical positions and is named after the Greek island of the same name. 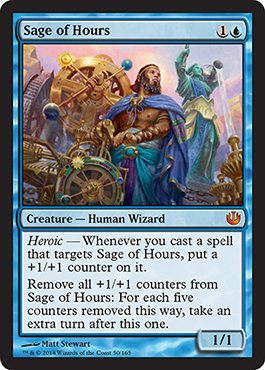 Thematically, the presence of the Antikythera speaks to Sage of Hours's interest in the relationship of the heavens and time, tying in beautifully with the mechanics of the card. 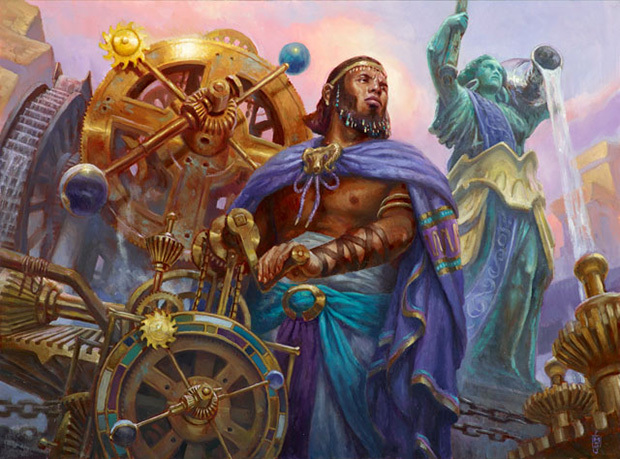 Something I didn't notice until I looked at the art at a larger resolution is that if you look over the sage's shoulder you can see a statue of Ephara, God of the Polis!